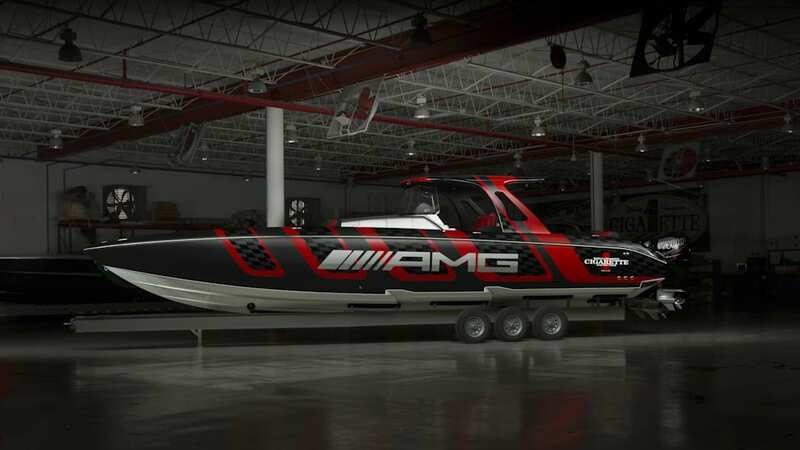 American boatbuilder Cigarette Racing and Mercedes-AMG have collaborated numerous times recently, giving the boats some of that same sporty luxury feel that's visible in the AMG-badged cars. To mark 12 years of working together, the brands have brought out this new 41' speedboat that's said to be inspired by the Mercedes-AMG GT 63 S four-door. 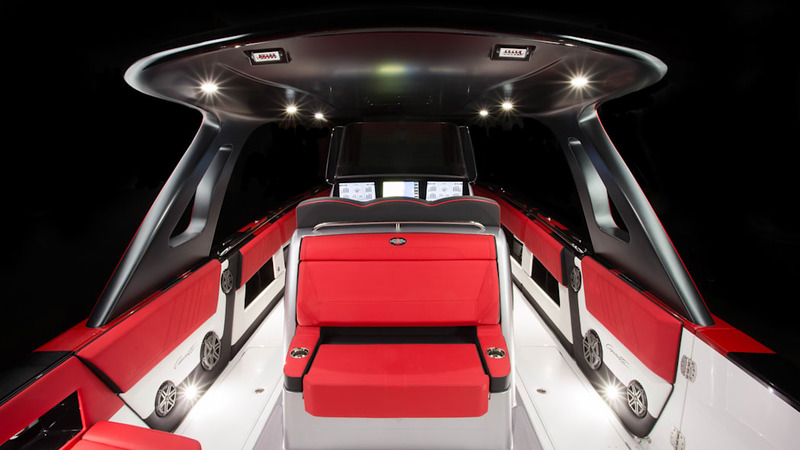 As the photo gallery shows, there's a similar style to the boat's look, from the use of carbon fiber to the red leather trimmings. 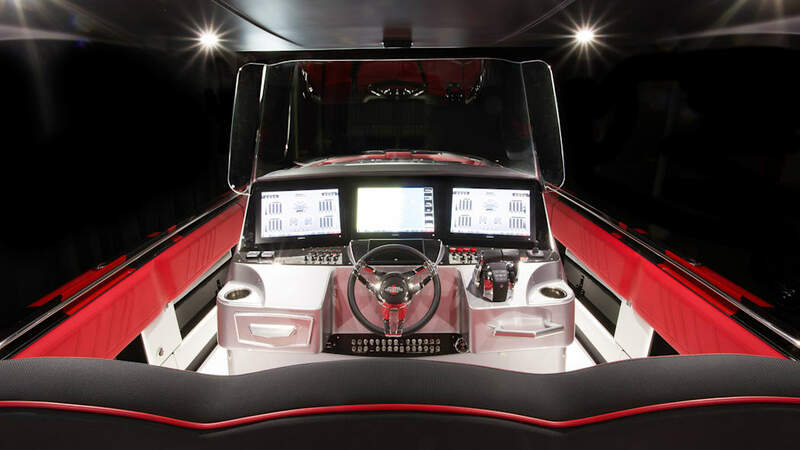 Cigarette says the carbon is there to help optimize the boat's center of gravity and deliver more performance through light weight, as well as to improve handling. Weight has been shed, as a comparable 2017 GT R performance boat — another AMG tie-in — weighed some 500 pounds more. The similarity between boat and car took some effort, as Cigarette says its team and Mercedes-Benz designers worked together with the boat's exterior and interior finish. If you're looking for a boat to match your car, the styling rarely goes this much hand-in-hand. As for the outboard engines, there are four Mercury Racing Verado 400R units powering the boat. The supercharged 2.6-liter V8 engines provide a potent 153 hp per liter for the advertised 400hp figure — fit four of them side by side, and you have some serious performance at your disposal.